It was the perfect set-up. Finally, summer temperatures took a nose-dive and in came showers and a refreshing feel of winter Florida-style. I went with the flow and flung open my doors and windows. I had a plan; a perfect plan for supper. I went to my kitchen and went surfing. And what did I fetch? Oh, one of my faves, a firm and hearty snapper I had previously caught (purchased) at the fish market. Decided to pan-sear the big guy. But first, I seasoned with salt and pepper after I dried him. I felt such a perfect alliance that I also stuffed him with fresh thyme I had on hand. 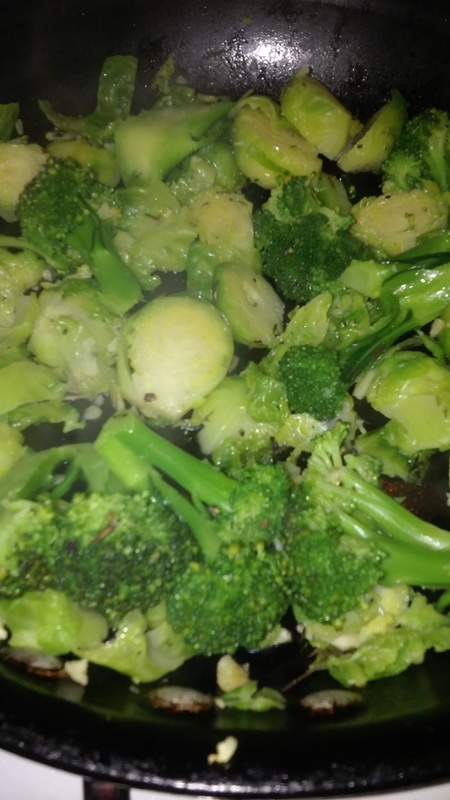 In a sturdy hot skillet, I poured canola oil with a clove of garlic for extra flavoring. Garlic was then tossed. 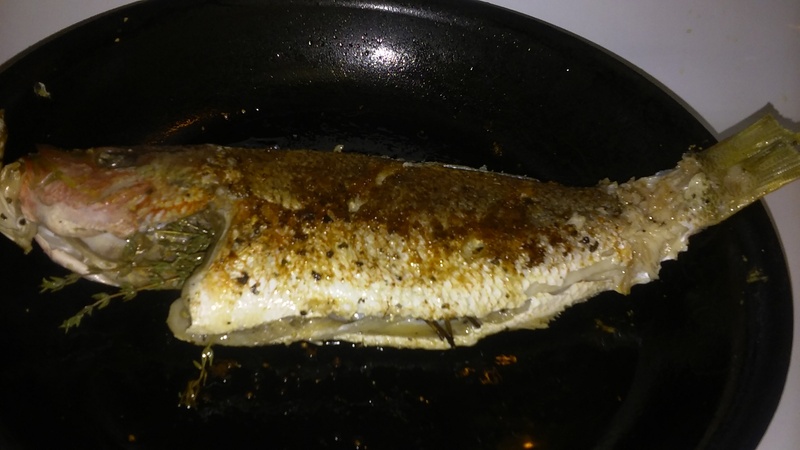 With a very light sprinkle of whole-wheat flour on both sides of fish, I immersed in skillet. Snapper was pan-seared on both sides for approximately five minutes. I removed same from pan and drained excess oil. To that, I added julienned veggies (onions, bell peppers, etc). I made sure to seasoned along with a pinch of salt and black pepper. 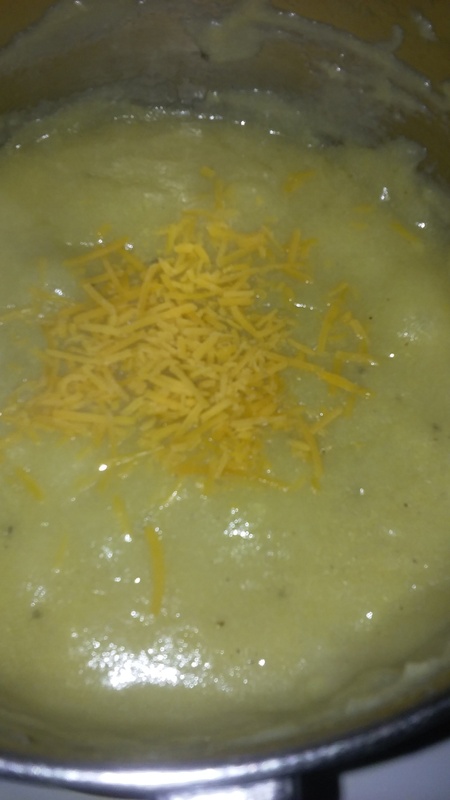 After they softened, a squeeze of honey, drizzle of vinegar and a splash of water were added. I allowed these to simmer under low heat. Then it was time. 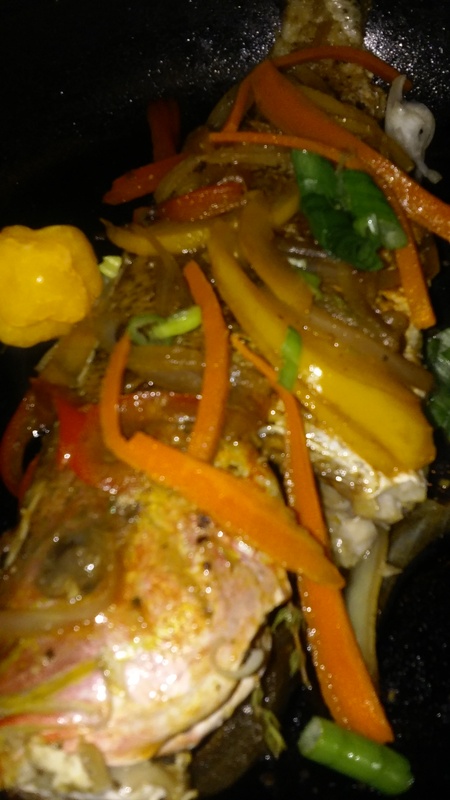 Snapper was added back to skillet in order to soak up all the aromatic flavors of this sweet and sour bed. I made sure not to overcook my big boy; thus, I removed him from the heat. 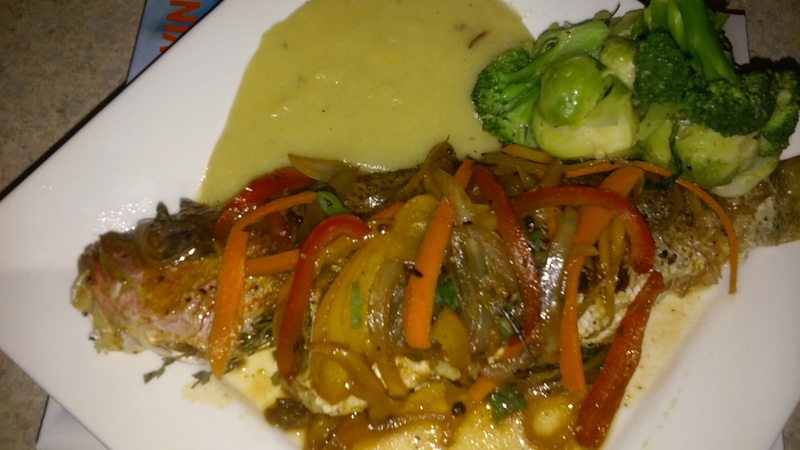 Snapper was paired with a creamy serving of polenta (tun cornmeal) along with a crispy garlicy side dish of brussels sprouts and broccoli. As the precipitation hit my patio rails, I grabbed my big boy catch and his side guys, I was in culinary heaven.